Who was Dull Knife and why was this Native Indian chief famous? 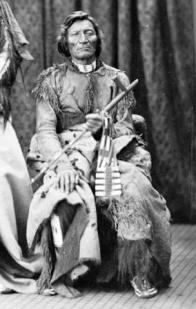 Summary: Dull Knife, aka Morning Star, was one of the leaders in Red Cloud's War and led the Cheyenne tribe in one of the main attacks against Captain Fetterman, December 21, 1866. Dull Knife was also an ally of Sitting Bull, both of these leaders opposed reservations. Dull Knife also participated in the victory over General George Custer in the Battle of Little Bighorn on June 25, 1876. The following fact sheet contains interesting facts, background history and information about the life of Dull Knife and the events in history that led to his fame as a great Native American Indian leader.